Famous For: Religion, History, Photography. Visiting Time: Monday to Saturday: 7 a.m. to 6:30 p.m., Sunday: 8 a.m. to 6:30 p.m. Visiting Duration: 30 minutes to 1 hour except if you are attending the Sunday mass. Mussoorie has always been one of the most popular hill stations in the world right since the British Raj had begun in India. Because of the pleasant weather, the lurking purity in the air and the soothing environment that leaves every visitor spellbound, Mussoorie has become a very popular tourist spot of lately. To top is this beauty, Mussoorie is accompanied by some of the most sought after religious places in the world that have changed the lives of many needy pilgrims. One such religious abode is the famous Christ Church that has lighted up the town of Mussoorie right since the tenure of the British rulers in India. Touched by a sacredness so divine, this church has been the heart of attraction in Mussoorie for every visitor. Wear appropriate clothes to the church especially if you are interested in attending the Sunday mass. Do not enter the restricted zones without prior permission from the church authorities. Maintain silence while you are seated on the pews. Buy candles from the little shops outside the premises of the church to take part in the rituals. Pray to God in the serenity of the church. Try to find the architectural similarities between the churches in England and the Christ Church in Mussoorie. The only guide that you will perhaps find there is the priest himself. Nevertheless, you can always hire a professional guide by visiting a travel agency in Mussoorie. As Mussoorie is a natural wonder in every season that you can think of, it is indeed very difficult to decide a particular time when this place should be visited. However, if you visit the Christ Church during Christmas, you will experience a different charm altogether. The Christ Church is barely a 10 minutes’ walk from the Mall in Mussoorie. So, you can easily find your way to the church by taking a little help from the local people. This is the oldest church that was set up on the Himalayas. This church is adorned by the Gothic style of architecture. The tinted glasses on the windows of the church depict the story of Jesus Christ, the Son of God, and acquire a huge popularity among the tourists because of the intricacy. The decorations and the instruments in the interior of the church date back to a century and are a spectacular sight. The view of the Doon Valley from the premises of the church is breath-taking. 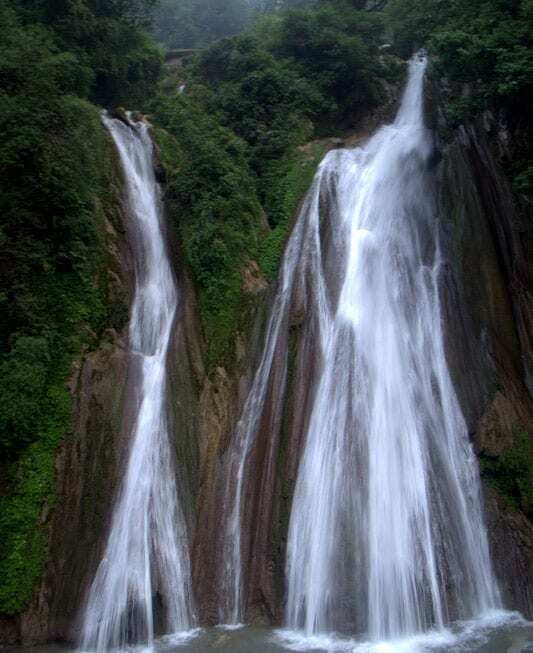 Mussoorie, as we can perceive, is out of the world and is, thus, such a popular tourist destination. There are so many things, both natural and architectural, to see in Mussoorie that a single visit to this hill station is never enough. To top it all, the Christ Church, with its legendary significance, has beautified this serene town even more by filling the hearts of the visitors with courage, peace and love. Thus, the Christ Church is a must visit for all.